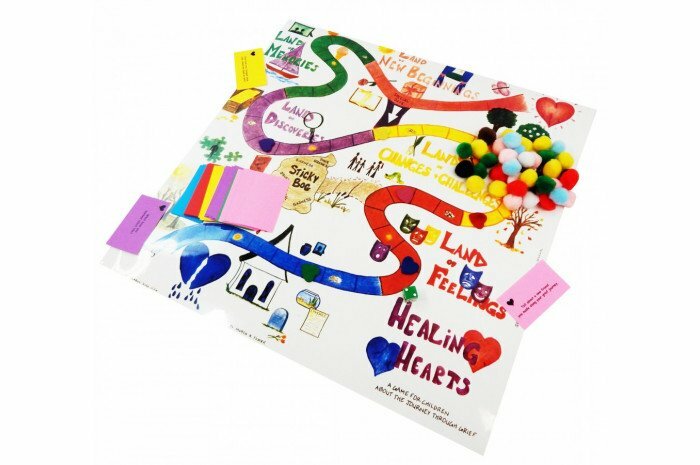 Healing Hearts is designed to help children express themselves about their grief. 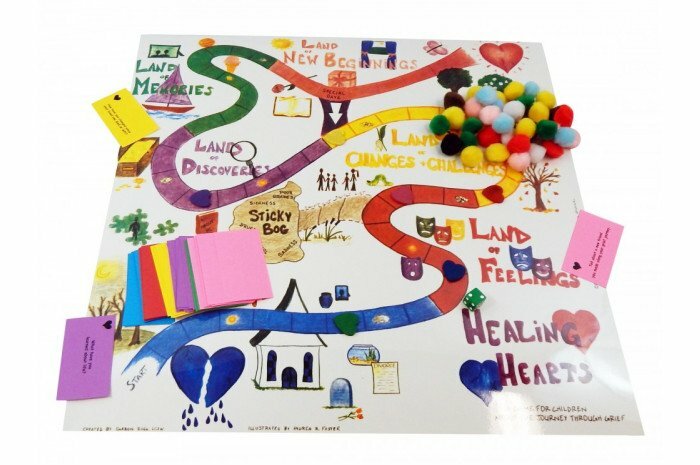 On a laminated board, players travel through the land of loss, feelings, memories, and end at the land of beginnings. 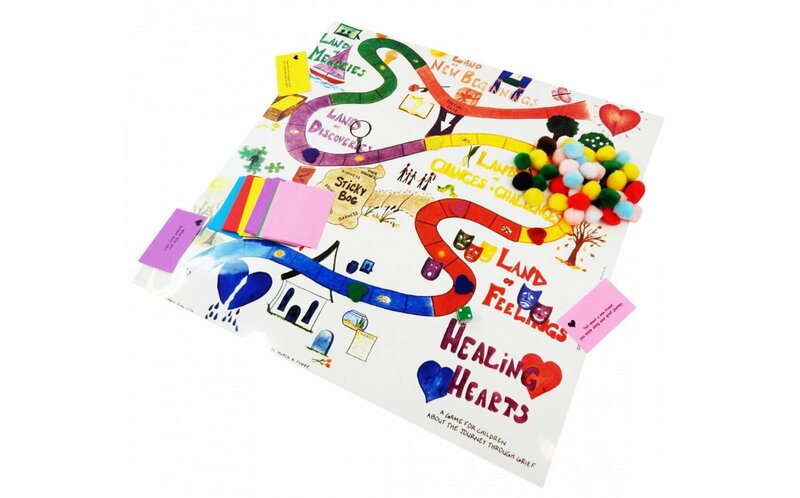 Laminated game board, cards, pawns, and rules included. Packaged in tube container. List the changes that have happened in your life since your loved one left or died. What makes you mad about your loved ones death? Name a gift you would like to give yourself. This is so great to see this game on this site. I have used it for several years and my game board is deteriorating from so much use. 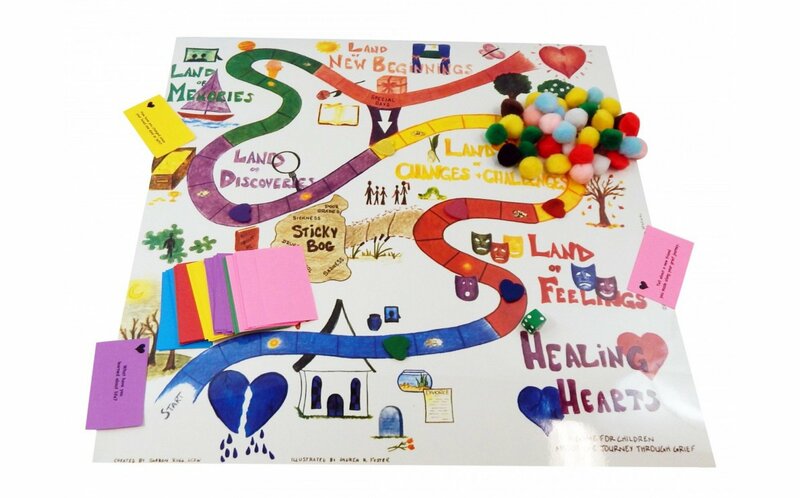 I use the board by itself as a visual of the stages of grief for people of all ages. The different cards you can get to work through grief, abuse, divorce, etc. are thought provoking and encouraging to children to help them understand that they are not alone and their pain will become more manageable. As an RPT, I highly recommend this game to everyone.